Cleveland just keeps getting better and better. 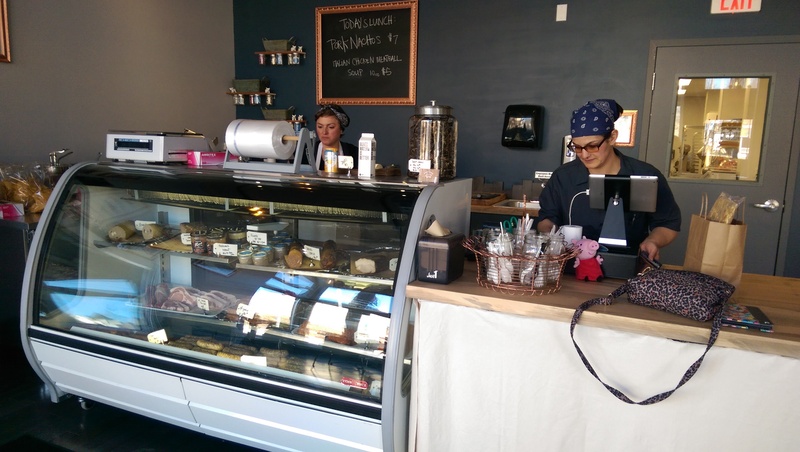 Old Brooklyn has two of those reasons with two very cool artisan food shops. 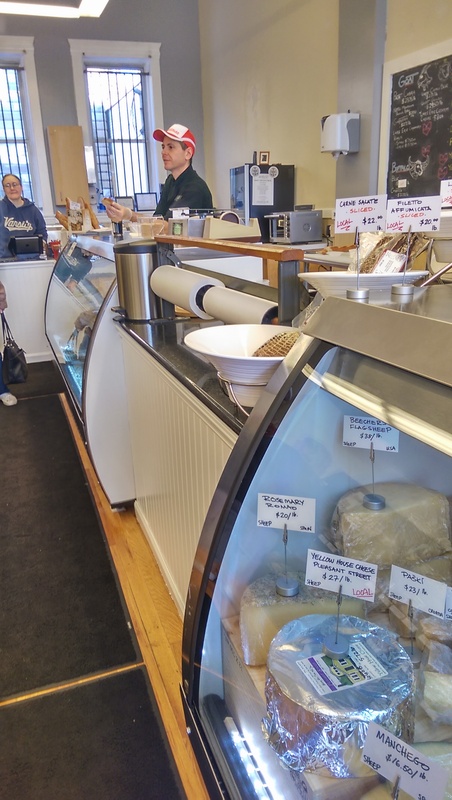 I learned about Cleveland Jam on New Day Cleveland and had heard about Old Brooklyn Cheese Company since the day they opened and Bite Buff wrote about it. 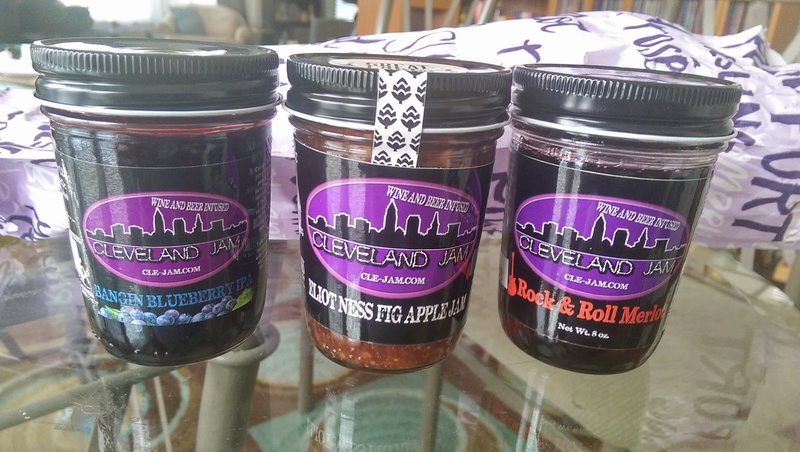 I combined both of them one day in early March when I needed cheese for a grilled cheese party I was attending and decided to buy Cleveland Jam’s Elliot Ness Fig Apple Jam to bring as well. I’ve been back several times since. 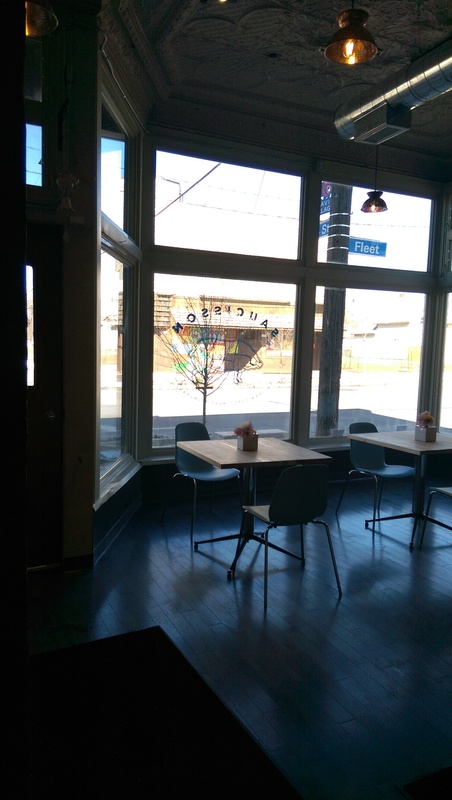 Since it is a start-up, Cleveland Jam is only open in the evenings (Tuesday to Friday) after 5 PM and Saturday from 10 AM to 5 PM, but you can also order it online and find it in some local stores (click here for their store locator). Imagine my surprise to find out that the conservatory and retail shop were literally across the street from my grandparents’ home on West Schaaf Road. If I had moved into the house instead of selling it after my uncle passed away a few years ago I would have been aware of them a lot sooner. I’ve always loved that property, with its cool greenhouses and copper roof on the home. 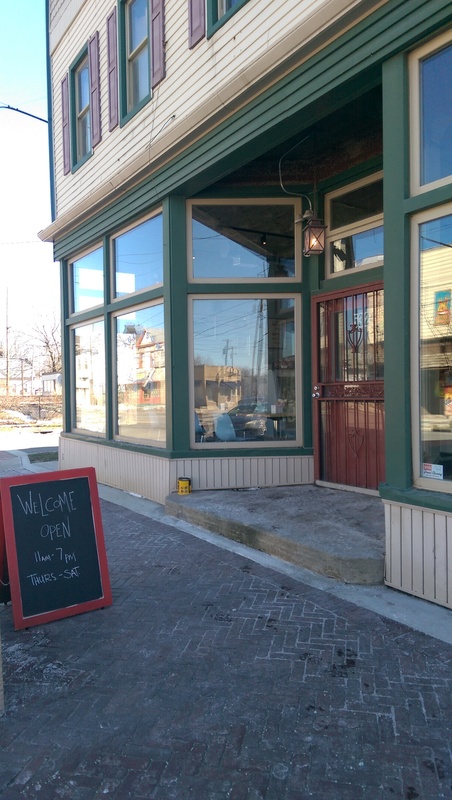 Those greenhouses are now housing grape vines, and the property features a retail shop, where owner Jim Conti sells products made with local beer and wine. Conti hopes to eventually turn the greenhouse into a winery. A graduate of viticulture and enology studies at Kent State University, Conti carried on his family’s tradition of winemaking and was looking for a way to reuse the leftover sediment. He came up with the idea of making jams and jellies. He stocks jellies made with white zinfandel, merlot, cabernet, shiraz and chardonnay. That then spun off to using the sediment from Great Lakes Brewing Co. beers to make his Eliot Ness Fig and Apple Jam and Burning River Pepper Jam and from Catawba Island Brewing Company. 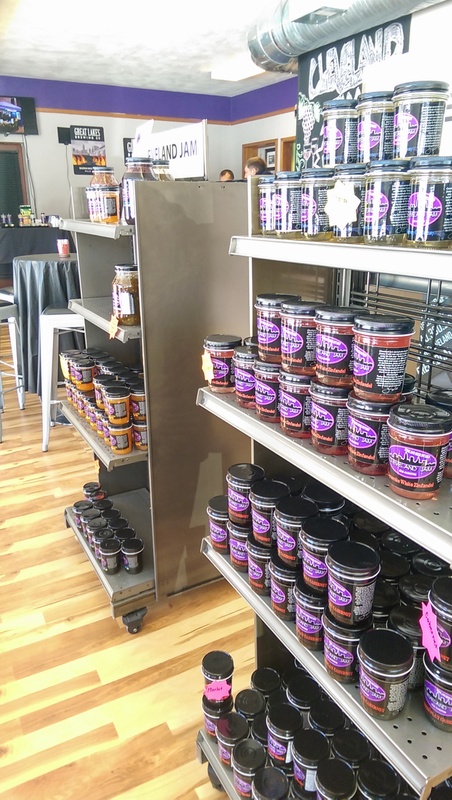 All of their products are available to sample in the retail store, and they also sell products from Cleveland Popcorn, Bearded Buch, Cleveland Tea Revival, and Randy’s Pickles there. I have four jars of Cleveland Jam in my refrigerator. His Rock and Roll Merlot is a favorite, but the Bangin Blueberry IPA is my absolute favorite. I use them a lot on toast with or without cream cheese, but you can also cook with them. Their website has quite a few recipes for chicken and meat. I paired the fig and apple jam with brie and candied walnuts from Old Brooklyn Cheese Company at the grilled cheese party I went to that weekend, and everyone loved the combination. When they heard why I wanted the jam they told me I had to go to the Old Brooklyn Cheese Company. I was pleased to tell them that was my next stop. I hopped in my car and headed down W. Schaaf, took a right on Pearl Road and found parking right in front of the storefront (there is also a parking lot in back). It is located on Pearl just before the bridge. 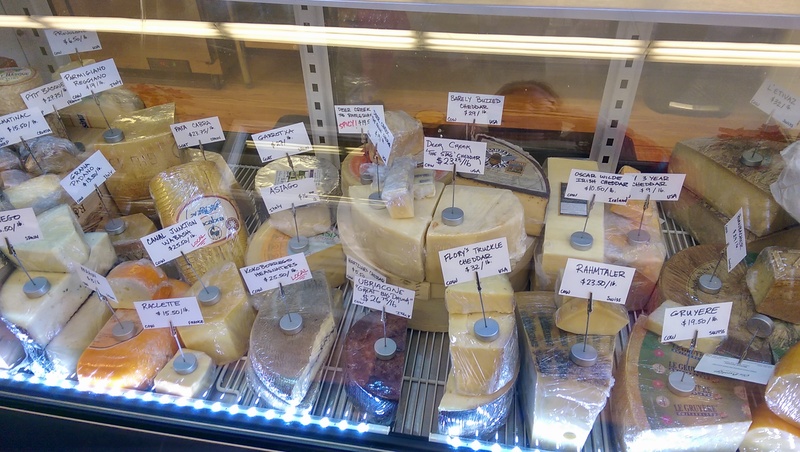 Owner Michael Januska has opened a great little artisan cheese store selling his own cheeses as well as lots of very well-known brands like Cowgirl Creamery and Kokoborrego and area favorites Lake Erie Creamery and Yellow House Cheese. 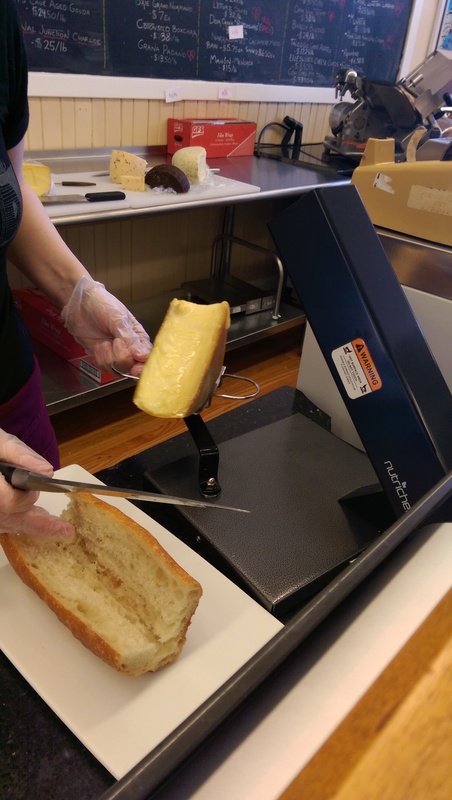 I also bought a pound of raclette since I was having some friends over for raclette that weekend. Januska funded much of his production kitchen for Old Brooklyn Cheese Co. through contributions on Kickstarter, which surpassed its goal. 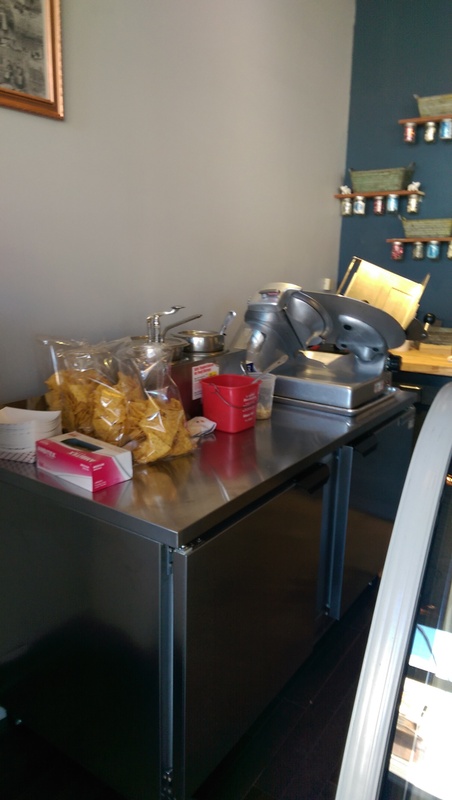 In addition to selling aged cheeses, Januska is making his own products like the Chupacabra in a state-of-the-art production kitchen and aging others on site in one of three cheese caves. 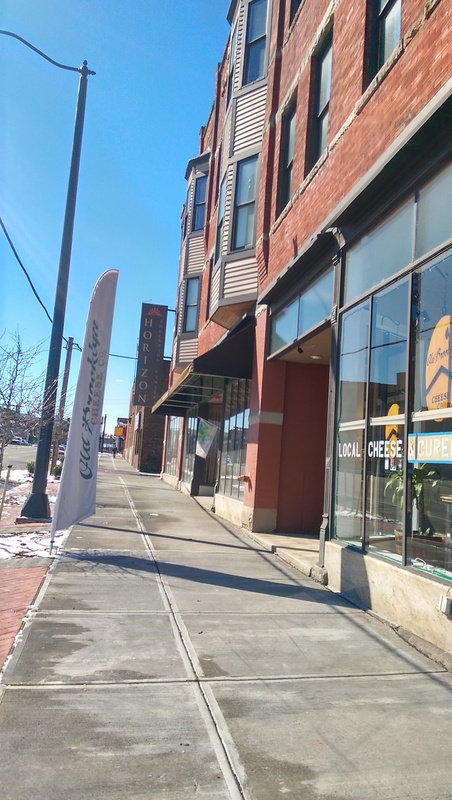 Januska has partnered with Hartzler Family Dairy in Wooster to supply its grass-fed, non-GMO, raw milk produced within 50 miles from where it will be transformed into cheese. The staff, which includes Januska’s fiance Angie, really know their stuff here and gladly serve samples so you can taste before you buy. One of their employees, Morgan, makes the most delectable spreads like one with goat cheese and apples or feta and olive. I brought the feta and olive spread to the grilled cheese party, but also bought a tub for my own consumption. They also sell local products like Old City Soda, Hartzler milk, Randy’s Pickles, Cleveland Jam, Montana Girl Mustard, candied walnuts, baguettes from Blackbird Bakery, and handcarved cheese boards shaped like Ohio (to just name a few) as well as Losada Olives (which I have loved since Counter Culture last year), infused oils and vinegars, and other artisan brands. I started following them on Instagram and when they announced their raclette grill had arrived to make sandwiches I was the first customer to order one. 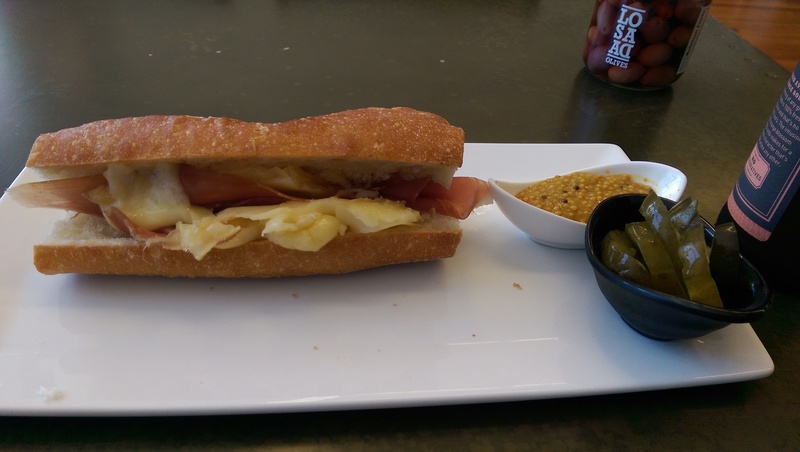 The grill melts the cheese, which is then scraped onto a baguette and served with prosciutto, Randy’s Pickles and my choice of Montana Girl Mustard or a Old Brooklyn Cheese Company mustard. I choose the OBCC mustard. 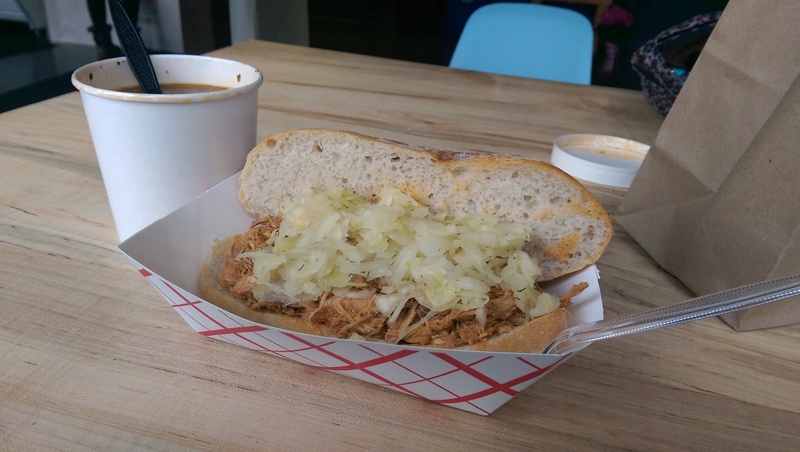 I picked out an Old City soda and waited for my sandwich to be ready. It was very good, if a little salty. I definitely think it is a treat that most people don’t know about, despite it being extremely popular in Switzerland and other European countries.